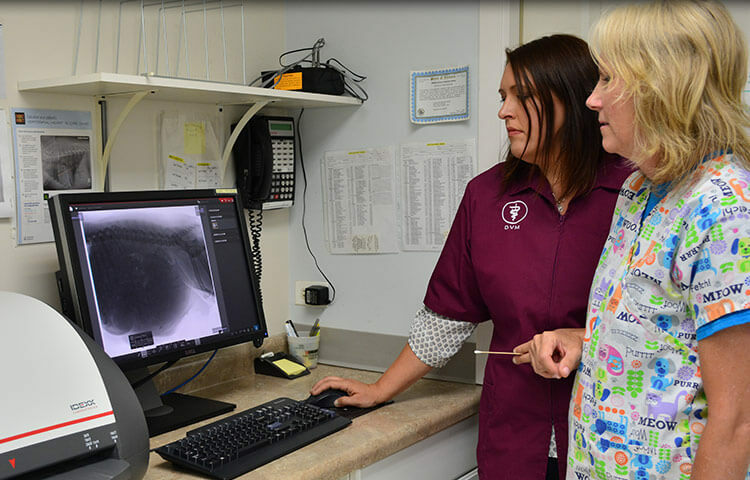 Our on-site X-ray equipment provides high quality radiographs to aid in the diagnosis of many disorders, both soft-tissue and orthopedic in nature. X-rays are often used in conjunction with ultrasound in achieving a diagnosis of a particular disease process. 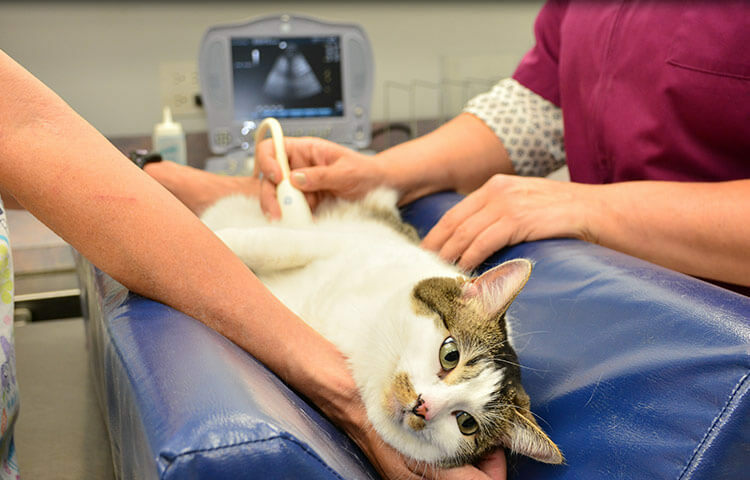 Ultrasound is a valuable, noninvasive diagnostic tool that enables us to image your pet's internal organs. This imaging modality enables us to visualize the structure and architecture of abdominal and thoracic organs to find any abnormalities that we cannot see or feel on routine exam. Ultrasound is painless and can be performed without sedation on most pets. Abdominal ultrasound is commonly used for diagnosing bladder and kidney stones, abdominal masses, and to aid in assessment of internal organ architecture. Echocardiography (ultrasound of the heart) allows detection of the source of a heart murmur, assess heart chamber size, and detect fluid or masses located within the chest cavity and around the heart. If your pet is in need of an echocardiogram, our veterinarian will refer you to an internist who routinely performs this test. We are pleased to offer digital dental radiographs to better detect, diagnose, treat, and monitor oral conditions and diseases. Your pet may need a special test that is not done onsite. 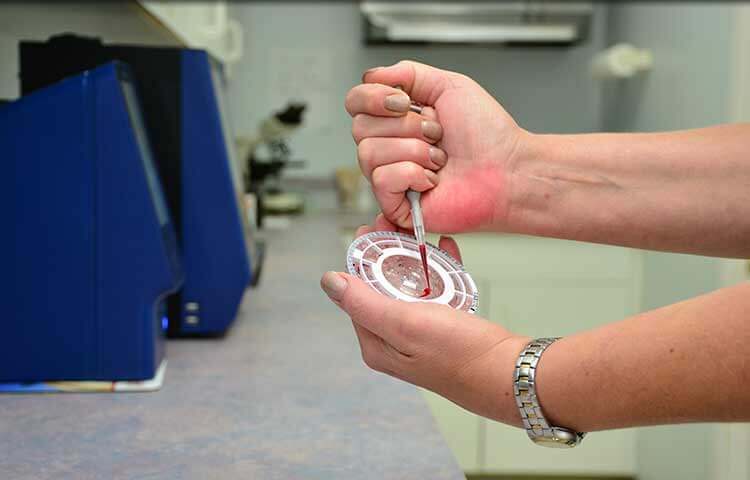 In those cases we will collect the appropriate sample and send it to our outside reference lab. Most results are back within 24 hours. Once the results are reviewed you will receive a call from our veterinarian.